I don't generally like peppers but love them when they're roasted. I couldn’t really decide what to call this recipe. It’s again a union of two different salads that I love and, typically, being the lazy and impatient cook that I am, I combined the two and crossed my fingers. 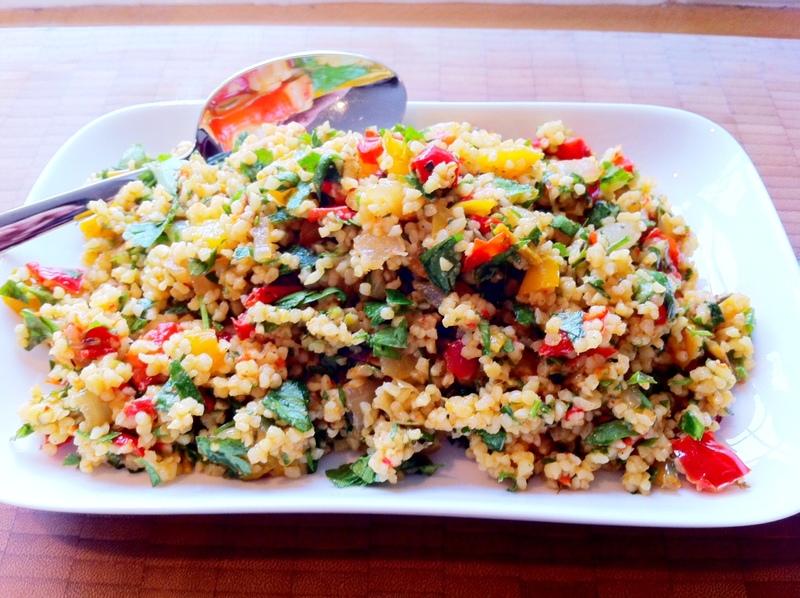 The two salads I love are tabbouleh and couscous with roasted vegetables. So, I’ve got a bit of both in this salad but I apologise in advance as I simply made it using flavours I love, so this really isn’t an authentic version of either salad. I made it up as I went along. I have to say that this salad actually tastes its best when it’s eaten slightly warm and not cold. It should be more of a summertime dish but because the chilli powder I used in it was quite pokey, it lent it a warmth that made it very palatable even in cold weather, especially as we ate it with some grilled chicken. 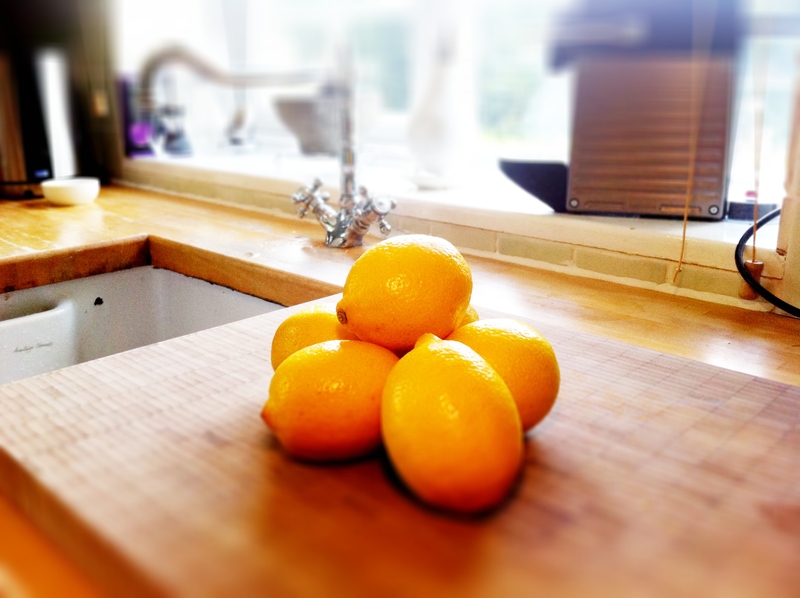 I love anything with lemon in it! I also ate it cold the next day (part of the reason I’d made it was so I’d have enough to bring to work the next day) and the flavours from the roast veg were even better, just a shame I wasn’t able to heat it up a little at work. 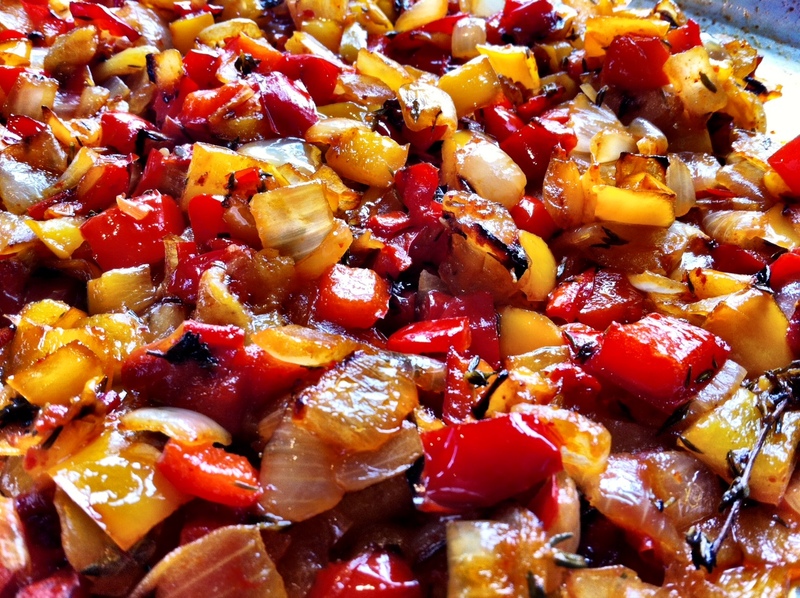 I normally roast peppers with garlic too but decided not to this time in case it overwhelmed the salad. 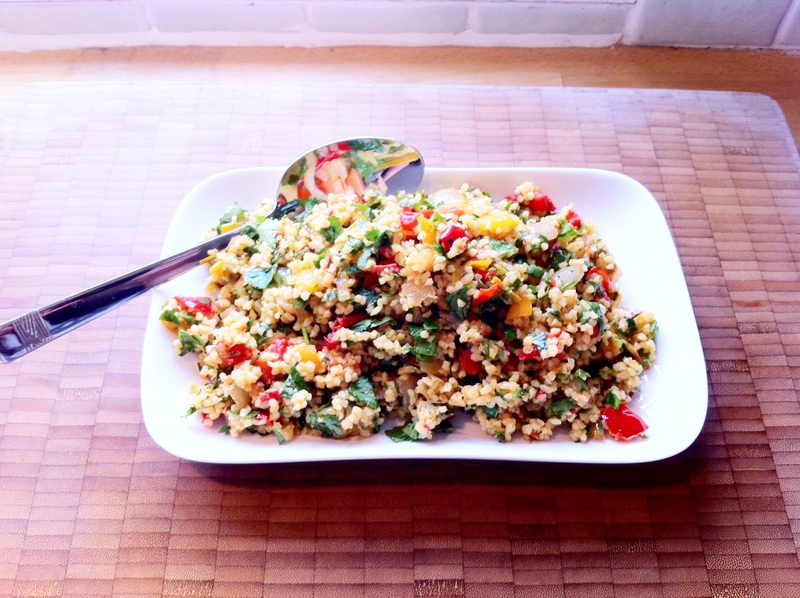 Mix everything together but use a fork and not a spoon as it'll keep the bulgar wheat from sticking together too much. My version of a tabbouleh and a roasted veg couscous. Beautiful! It’s so colourful – makes me feel like summer is just round the corner. I heard it might get up to 18 degrees this weekend so I might make it again, it’s definitely a summery dish. My goodness this is gorgeous! I love all the flavors and color you have going on in this salad. I wish I could have a little bowl of this right now. It would be quite a comforting and enjoyable snack (it’s midnight here). Thank you, it turned out really well so I’m really pleased with it. Roasting the vegetables had to add so much flavor. It certainly added lovely color. 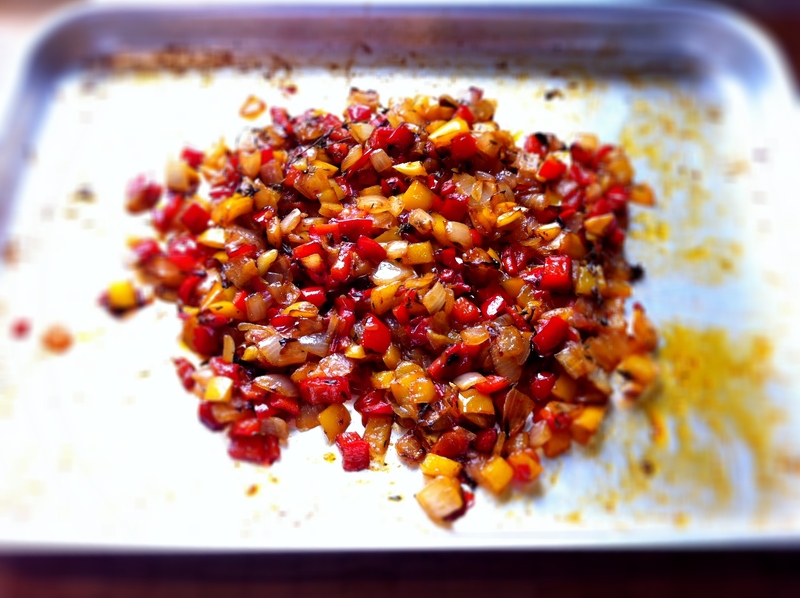 Yes I loved roasted peppers now, it does taste awesome. Ooh, I like the caramelized onions in the mix! Wow G, you’ve really got to try it! Look at all the vibrant colors! yum! Yes I love the way this salad looks too. Thanks for this recipe, I am never sure what to do with bulgar wheat so I don’t eat it much. This has given me some inspiration. You’re welcome. We never ate much of it before either but it’s now a fairly regular dish in summer. Thanks. I really liked this dish. This is my kind of salad, BFN! I just love roasted vegetables with a grain (we usually do quinoa). 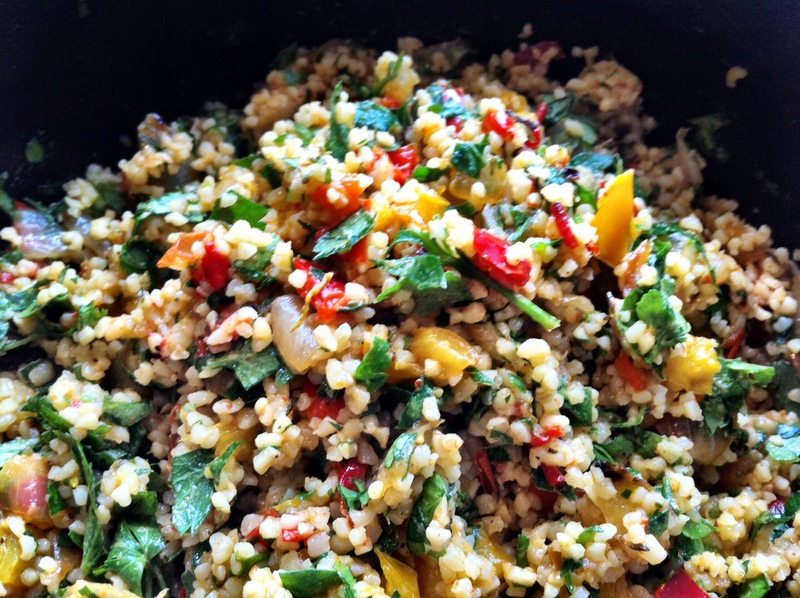 Fabulous idea, I make Tabuleh and I make roasted veg with Bulgar wheat, and you just topped it by combining the two. 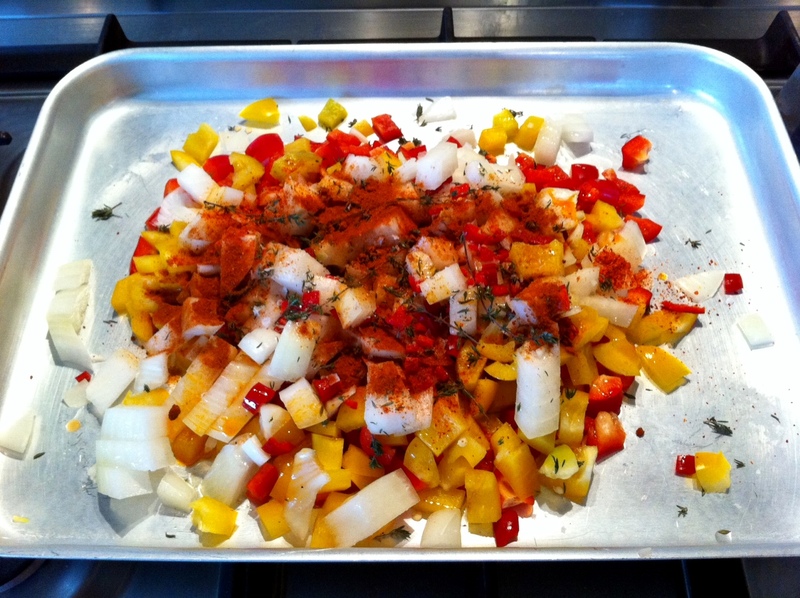 And I love the idea of the paprika. Genius! Thanks C! I call it lazy luck hehehe. I’m on a serious paprika vibe at the moment, and seem to be putting it in everything.